In case you haven’t heard, the FXX network is currently in the midst of a 12-day, 552-episode marathon of #EverySimpsonsEver. That’s 25 years worth of arguably the best animated sitcom (and officially, the longest-running scripted primetime series) of all time. This immediately made us think of our colleague Andy Comer—Men’s Creative Strategy Director here at Nordstrom HQ—who recently decided to introduce his eldest son, 7-year-old Wilfred, to the show that he himself holds dear. Keep reading for four tips (and warnings) for passing The Simpsons down to a new generation—compiled in collaboration with a man who, for better or worse, has tried it firsthand. To celebrate National Dog Day, we fetched pup pics from some of our favorite friends’ and colleagues’ Insta feeds. Keep reading to see our favorite photo ops of man’s, woman’s and child’s best bud. At the very least, they know their way around a well-appointed date night—which is why we asked a few of our favorites to offer simple tips every man can benefit from this Valentine’s Day. (It’s TOMORROW, guys, but fear not, you still have time to make it great.) Keep reading for advice from Salt Lake City blogger (and sister to our previous guest) Rach Parcell of Pink Peonies, a girl who appreciates a good omelet, a hand-written note, and an impeccable timepiece. 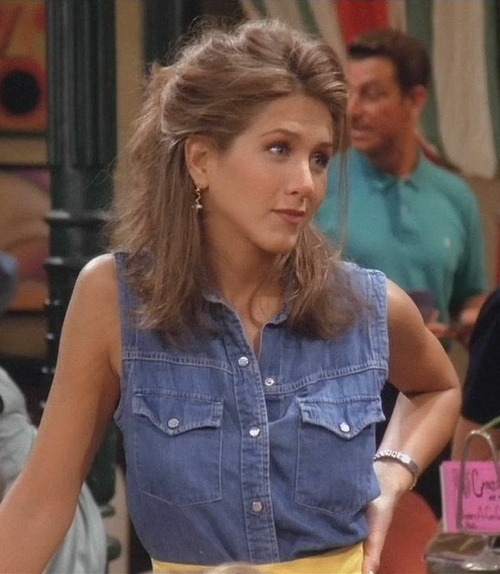 We’re right there with you, Rach. At the very least, they know their way around a well-appointed date night—which is why we asked a few of our favorites to offer simple tips every man can benefit from this Valentine’s Day. Keep reading for advice from Salt Lake City blogger Emily Jackson of Ivory Lane, a dedicated mom who knows her way around a leopard-print bootie. Tell us more, Emily. At the very least, they know their way around a well-appointed date night—which is why we asked a few of our favorites to offer simple tips every man can benefit from this Valentine’s Day. Keep reading for advice from Venezuelan-born, Miami-based blogger Daniela Ramirez of Nany’s Klozet, who loves the beach, the Beatles, and men in ironic socks. We’re with you so far, Daniela. At the very least, they know their way around a well-appointed date night—which is why we asked a few of our favorites to offer simple tips every man can benefit from this Valentine’s Day. Keep reading for advice from Vancouver/New York/Beijing blogger Vanessa Hong of The Haute Pursuit, whose interests include sneakers, camo, leather and lingerie. We’re all ears, Vanessa. At the very least, they know their way around a well-appointed date night—which is why we asked a few of our favorites to offer simple tips every man can benefit from this Valentine’s Day. Keep reading for advice from Hollywood blogger Shea Marie of Peace Love Shea, a pro stylist and lover of leather jackets who wants you to take her on vacation. You’re speaking our language, Shea. At the very least, they know their way around a well-appointed date night—which is why we asked a few of our favorites to offer simple tips every man can benefit from this Valentine’s Day. Keep reading for advice from Minneapolis blogger Kate Arends of Wit & Delight, a world traveler, whiskey drinker and interior-design wiz. We like your style, Kate. At the very least, they know their way around a well-appointed date night—which is why we asked a few of our favorites to offer simple tips every man can benefit from this Valentine’s Day. Keep reading for advice from LA blogger Kiara Schwartz of ‘Tobruck Ave,’ a woman who understands the importance of pinball, Chuck Taylors and proper bedroom attire. You had us at “pinball,” Kiara. At the very least, they know their way around a well-appointed date night—which is why we asked a few of our favorites to offer simple tips every man can benefit from this Valentine’s Day. Keep reading for advice from NYC blogger Kat Tanita of ‘With Love From Kat,’ who appears to be into chocolate, sharp-dressed men, and vintage Jags. We’re all ears, Kat.